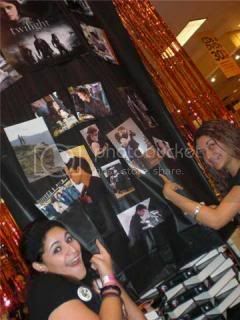 Big thanks to everyone who sent in their Twilight DVD release pictures! If you have some photos or a report you want to share, feel free to email me at krystal.tst@hotmail.com. Hello! I am on your site on a daily basis! 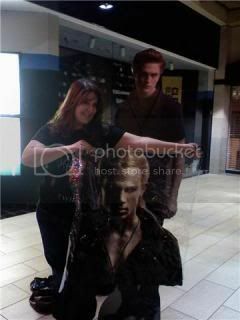 I wanted to thank you first off for always giving me my daily dose of Twilight! I am sending pic from the Chicago party I attended. Nikki Reed came to ours! Unfortunately she didn’t stay long enough for my group of girlfriends and myself to get in and meet her. She was so nice though that before she came out she said good bye to all those still waiting and signed some things. She was such a big sweet heart and she explained how bad she felt she couldn’t stay longer and how nervous she was to come. I actually had her stand right in front of me, but I had nothing for her to sign! I had planned for her to sign my DVD when I got it, and I hadn’t at that point. Bummer. Of course I am upset now, but at least I got to meet her. Now I am finally off to bed! I am sending some pics of her. Most were blurring because my hand was not steady. I am only sending some good ones. 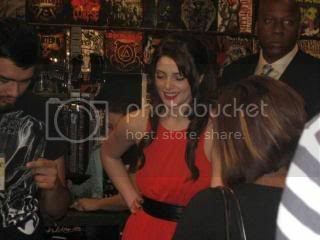 So I just got back from the Twilight DVD Release party at Hot Topic in Hollywood where Ashley Green was greeting fans and giving signed DVD’s to everyone who had pre-paid the DVD in advance. Was a bit bummed out that she couldn’t sign anything else and that we couldnt pose for pictures with her. But the night was a total success and she was nothing but great to everyone. 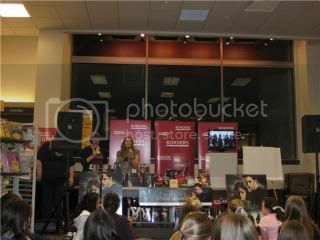 Hey guys, here are some fun pics from the Borders party in Mason, OH! My daughter Autumn went with her friends Kate and Kaitlyn and they had a fabulous time. Because they went an hour before the party started they spent some time reading in the cafe; they all were reading the new Maxiumn Ride book or brushing up on Twilight. 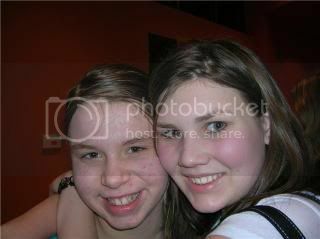 After that they had Twilight Jepordy and Autumn’s friend Kaitlyn won! Unfortunately the prize wasn’t anything Twilight, just candy but she seem pretty happy with that and the title of Jepordy winner. They had a scavanger hunt and played Caranium as well. 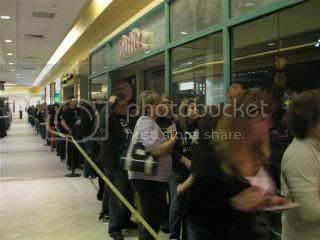 After the movie awards they had everyone get in line for the DVD; they had passed out wristbands earlier in the day. 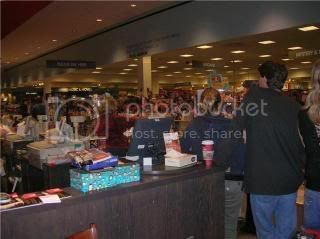 Because Autumn had ordered hers from Borders.com, and it was already paid for, she got to go to the front of the line. At 12:01 they handed her the DVD; she was the 1st one to get it in the store and they couldn’t wait to get home to watch it. 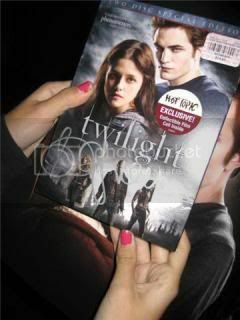 (FYI for New Moon you should order your DVD online). It’s Saturday morning and we’ve watched it twice already and I’m sure we will watch it agian at least once more before the day is over. 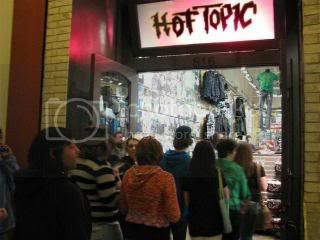 Yes, I was one of oh so many who hung out with something like 300 people in a itty bitty Hot Topic store to get my DVD. It was pretty miserable…..so crowded and we didn’t get to do the activities such as trivia because of a few rude people who don’t know how to play nice with others. As Edward would say in Midnight Sun…..Bite Me. 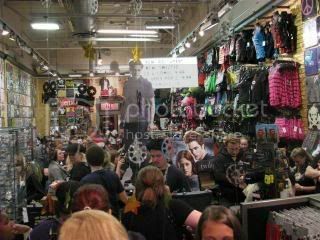 Thought you might enjoy some of the pics though…..it was nice to spend time around the other Diehard Twihards……most were very nice. 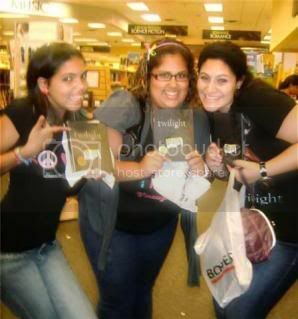 Hey i’m Alexandra, from Puerto Rico and this are my pics of the twilight movie release party at borders. 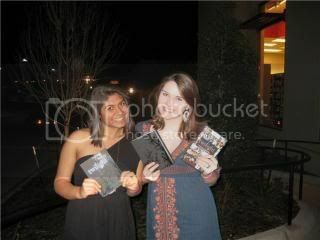 My best friend Alissa and I went to the release party at borders. 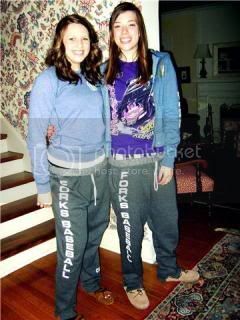 Her dad made those sweatpants that say “Forks Baseball” and “Cullen” on the other leg. 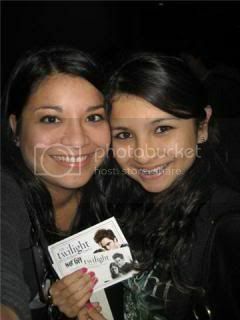 We did amazing at the Twilight scavenger hunt and stayed up past 2 in the morning watching our the dvd. It was amazing. Hi! Let me just say I love your site, and it is one of the first things I see when I open my home page. I love everything about it. 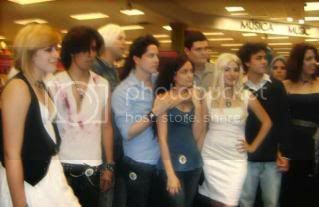 I don’t know if these are too late, but here are my pictures from the DVD premiere in Santa Fe, NM at Hot Topic and FYE. 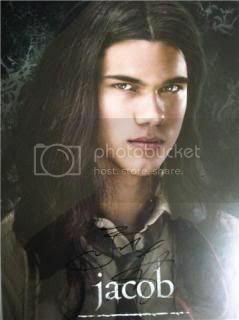 The Jacob Autographed pictures is the autograph I won from Hot Topic. 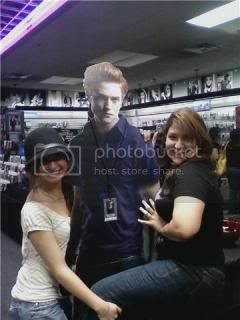 I won The Edward stand up at FYE. 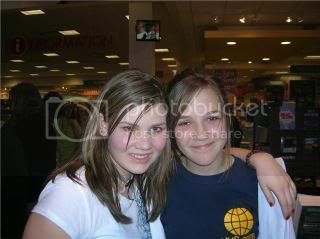 The two girls in the pictures are myself & my friend sandy. 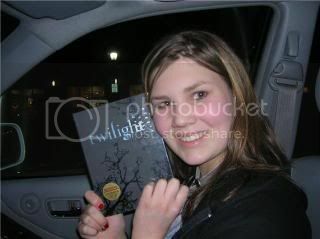 I actually was at the Twilight DVD release at Border’s in Allen, Texas and got to meet you & received an autograph from the Twilight director, Catherine Hardwicke after waiting for over 6 hours!!! But it was worth it! I just wanted to thank you for keeping us entertained with your Twilight podcasts! How fun ! I’ll soon post but our Walmart party was a blast also !!! I’m sooo jealous of the people who actually ended up meeting people from the cast!!! I went to a release party but didnt take any pics. I got sick the next day cause i was sooooo tired! i had soooooooo much fun though!!!!!!!!!!! Log in | 51 queries. 0.991 seconds.